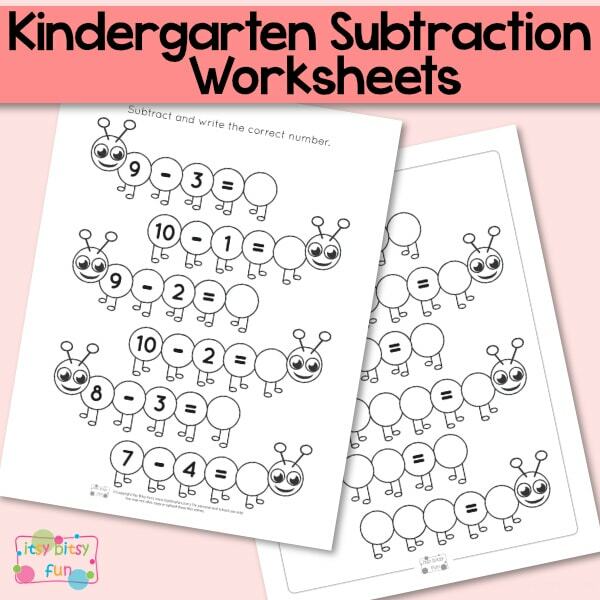 Kindergarten subtraction worksheets are a great way to introduce subtraction practice to children. They can be used in a multitude of ways, alone or with other educational tools. 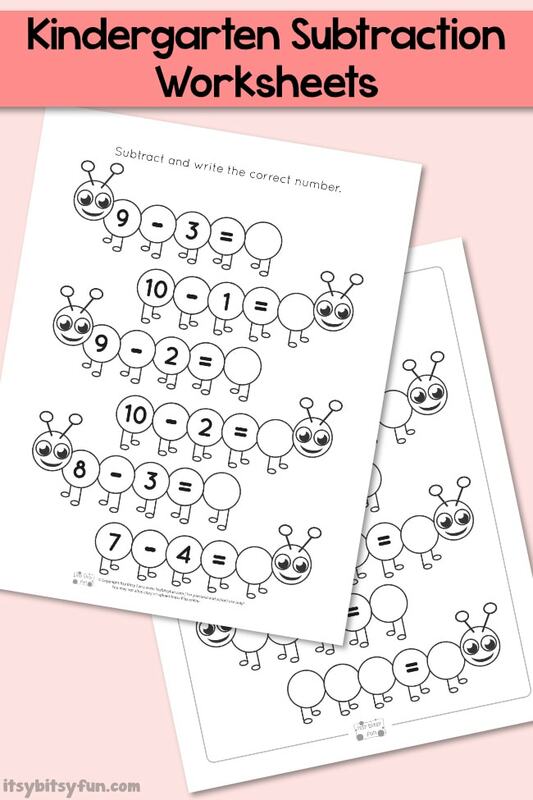 These free math worksheets feature caterpillars, which can be colored for added fun. 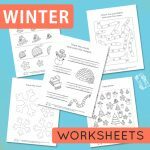 This type of worksheet keeps kids focused and entertained while learning. 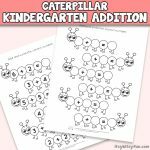 These free math worksheets feature caterpillars, which can be colored for added fun and keeps the kids focused and entertained while learning. 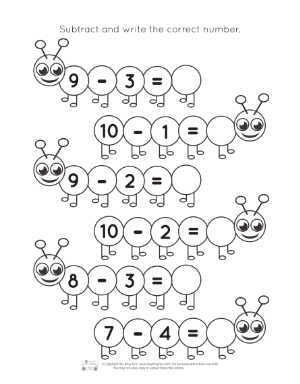 On these math worksheets the caterpillar stretches out to form a subtraction problem. There are several worksheets to choose from with different problems, and different levels of competency. 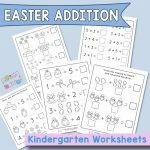 The worksheets work with numbers from zero to ten. If a child is having trouble with their worksheet, you can introduce counting blocks to help them find the answers. Have them count out the number of blocks to match the first number of the problem. Then, have them take away the number of blocks in the second half of the problem to find the answer. In a group setting you can have the children form a caterpillar of their own with their bodies, taking away the number they are subtracting. The kids left standing are the answer to the problem. 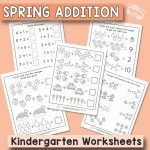 It is a great idea to print these worksheets on sturdy card stock and have them laminated. You can use them with dry erase markers so that the child can practice over and over again until they no longer need additional tools to solve the problems. This is also a great advantage for teachers and daycare centers that may be limited on the amount of paper they can use. 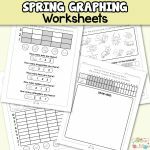 Download the free math worksheets today to get started. Print this free worksheet here.